RS series consists of a 2.3mm type classified according to terminal size, supporting use in a variety of control circuits and low power circuits. 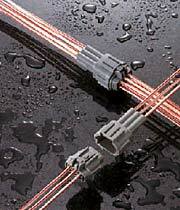 -The RS-standard type connectors adopt an inertia lockingsystem to prevent semi-engagement (this system is not incorporated in some connectors). *Please contact our sales representative for product numbers.